In 1989 I was working at a television production company in Washington DC. One of my co-workers came in and said they had just gone to see "this psychic in Gaithersburg" which is just outside DC in Maryland. Intrigued, I asked for her information. Later that week I called her and we scheduled a time for me to visit her. Her name was Cynthia. She thought my name was John Mills. When the time came for my appointment, I drove on out to the suburbs. I rang the doorbell, and Cynthia answered. She welcomed me in, introduced me to her husband Ralph. Her daughter and bunch of kids were outside playing in the pool. It was a nice slice of suburban life. We trotted upstairs to her "reading room." Two chairs, a lot of crystals, and a few Native American feathers, where the primary decoration. 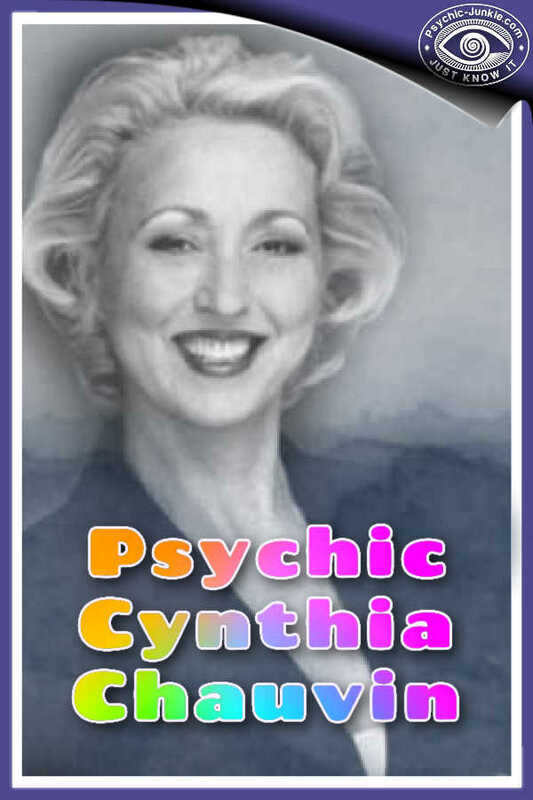 Cynthia the psychic was recently imported from the south and looked like she had walked off the set of "Designing Women." Big blonde hair, blue eye shadow, and pants with a crease that ended at a nice pair of high heels. I was in a relationship and I didn't think the girl I was with was a keeper. At the end of the rather long reading I asked her my final question. "So, who do you think I will end up with long term?" I asked. Almost immediately she burst out laughing. It's an infectious laugh. It would make a great ring tone. "What?" I asked her smiling along. Her eyes closed, she paused as if clearing her thoughts and gathering them again. "Well I hope you like my type." Her face had a look of curiosity on it, the puzzlement of someone who didn't understand what they were seeing. Finally she said, “I hope you like my type, because I just keep getting a picture of me. I hope you like my type." Being a guy I naturally checked her out, and thought nothing more of it at the time. I had long hair and was wearing a black leather jacket with smokes stuffed in the pocket. She was a psychic suburban wife from New Orleans. Neither of us had any idea what had just transpired. Weeks and months would pass, rolling into five years later, where Cynthia the psychic and I, who had never met prior to that day, were married on the beach in Destin, Florida. That is my testimonial. I may be her husband, but I can tell you that she is the real deal and lives by her word. Join in and write your own page! It's easy to do. How? Simply click here to return to Accurate Psychic Reviews.